Sorry to hear this. I know it's hard. The Cut & Clear spell kit is a great way to move on. 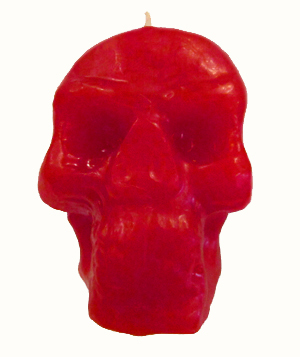 I would like to try a red skull candle to put some "love me" thoughts in his mind. At the same time, I read on this thread that black skull candle can be used in break up work - is it influencing him to break up with her? or make that a skull of the woman I want him to break up with and influence her to break up with my man? I read that we should speak through the smoke from a cigar - is there a particular reason why a cigar and not an incense? You can use a black skull candle to influence him to break up with her. You can also buy a Break Up Spell Kit, this has everything you need in it including instructions. Thanks Ms Melanie! How about speaking through smoke to a skull candle? cigar vs incense, does it matter? I personally use both. And there is a difference. The spirits like the aromas of certain things and the incense appeals to them. The type of incense odor reflects your petition. The cigar smoke is for communication but in a different way. Do I need to carve my target's name anywhere onto the candle? I plan to write my name on the skull's forehead and stuff it's eyes with photos of me, so I want to make sure the work doesn't somehow get directed at me instead of my target. I carve the person's name and birthdate no the candle in numerous places. Then, I cross it with my command. Just like a petition paper. Thanks Miss Aida! I'm just confused as to how I fit this all onto the candle. I've read things on here about people just carving the thoughts they want to project into the skull, but they don't mention how many, or if they use the target's name. Would you say it's better to carve just one general command, petition style, and to project the rest of those thoughts by speaking through smoke? I think the how many question just depends on what will fit on the candle. If you have a simple command you can fit a lot of it on the candle. If it is more complex you might only fit it on there a couple times. The point is to make the candle connect to your target and to your desire. If your commands are really complex you might take a moment to look at them and see if there is a way to distill the ideas down into a more simple statement. Thanks natstein. So I assume if I do it that way, I do not cross the command with my target's name. So is there somewhere else I should be carving the target's name? So I've been working on my skull candle. I got a reading done last week and it said my target has been thinking of me and wanting to contact me but changes his mind at the end. I've seen signs and actually seen him driving around town..
Is there anything else I can do to make him contact me. I keep telling the skull candle "you will contact miss adri" ... "just pick up te phone and call miss Adri"
What oils are you using on the candle? On my last skull candle I had love me oil. I would use deer's tongue in the mouth. And the other thing you can do is to surround the skull candle with yellow helper candles, dressed in the same oil (Commanding) and roll them in deer's tongue. Personally, I use the first person ("I think about..." when inscribing the skull, as those are the thoughts I want my target to have. Then I speak to it in the second person ("You think about...") as this is more of my petition for the spell itself. Make sense? Thank you! I still have some LM Deers tongue. Now when I'm talking to it, how do I say contact me? Do I command it as in "you will contact miss_adri" (in a commanding voice) or do I say "you want to contact miss_adri, you miss her, want her, etc" in a regular toned voice. Also how long should I do this? I work my honey jar (talk to it/pray) for 20mins & then I leave it alone until the candle burns out on it's own. I personally talk to mine every hour on the hour while it is lit. I like sounding soft like an angel. Saying: "You need to talk to miss_adri89 "
Do helper candles get inscribed with the name and dob of the target that is on the central candle? You can certainly inscribe them similarly to your central candle. You're on the right track. I'm having trouble carving holes into my candle (was going to place particular photos and herbs in certain areas of the skull), and I don't have a drill of any kind. There is already a hole in the bottom of my candle; it doesn't go up very far, but it's big enough to fit a photo and some herbs. Is this still deep enough to get in my target's head, even if it isn't as specific as I had planned? Also, is it alright if the photo is of the two of us together? I keep thinking of the skull candle working like a doll baby, where photos of other people can confuse the identity, depending on where they are placed. Just want to make sure I've got it right! If you are doing work for love, then Friday is a good day to start. You should be fine. You don't need very deep holes to embed the skull with your photo or herbs - in fact, I learned the hard way that drilling too deeply can cut the wick! A photo of the two of you together is great if you're working on him for love. Thanks Athena K! Do I need to write my petition on the back of each photo I use? I am inclined to say yes put your petition on both but to he honest I am not sure what two photos you are using? I remember reading about a photo of you and your target that you are putting in a skull candle. I would put the petition on that one. What is the second photo and what are you doing with it? I was going to put the picture of us together (with petition on back) inside the skull candle, then either a photo of just me, or the same photo of us together in each of the eyes. I was also considering a photo of just my target (with petition on back) to place under the candle, but I wasn't sure if it was necessary. Be careful to not overload your skull candle with paper, or else you will create a little bonfire. I like to make sure any paper I put into the eyes or drill into the head is very small. A photo with petition on the back placed under the candle is a nice addition. To draw the kind of love and fidelity you are looking for with him, you can work with Love Me, Chuparossa and Marriage oils, among the array of love oils from Lucky Mojo. Those should work well on your skull candle and in contact magic on your target. I'm sorry this is happening! I hope you can reconcile with him soon. You have good personal concerns so definitely use them in your work. And yes, you can certainly burn a skull candle on your honey jar. Is it ok if you speak different commands to your skull candle each night? I read Miss Aida's method of repeating the same command, every hour on the hour, to each side of the skull. I've been doing this, but I don't use the same command every time. They're all of the same nature ("talk to Miss Kitty", "You will return to Miss Kitty"), but never the same. Sometimes I give different commands during a single burn. I also address the candle conversationally from time to time. Is this alright or do I need to focus on a single command? Personally, I like to keep things consistent and repeat the same command in a spell. Once that goal manifests, I move on to the next stage of command in my next spell. It's like climbing a ladder one rung at a time until you reach your final destination. Now that the retrograde is over, I was able to get on with my skull candle. I just wondered if it's a common thing to have a very large amount of wax leftover after burning this type of candle? It wasn't so much burned as just melted, and now I've got a big chunk to bury. To be fair, this one was the old type that LM used to carry, the skull and crossbones, before the manufacturer outsourced to china. The new ones are far more petite, and I imagine that one will have less leftovers. Naexis, I'm burning my skull as we speak. I'm using one of the smaller, newer ones and mine is just sort of hollowing out as it burns. I can tell that most of the candle will still be standing when the flame goes out, and I think that's just due to the density that comes with a candle of this shape. I have a question about the Black Skull Candle. Can I let it burn the whole night or Do I have to burn it little by little for 7 nights? Also can the pins be placed before lighting the skull or during the lighting?... What Psalms or words can be say during the burning? It depends on the spell. If Miss cat has given a spell that takes 7 night then, yes, do it according to her instructions. I like to prepare my candles before burning them. BUT if I am trying to inflict pain, then I do the nails before lighting and after lighting. Wishing you success with this spell. So I have done a reconciliation honey jar spell on my daughters father and it's been working but he is stil stubborn to certain things and I would like him to think about things my way instead of his own selfish ways. I want to influence him by influencing the way he thinks. Especially with things I would like him to agree on when it comes to the baby such as her not sleeping over his family house because i do not really trust my baby who cannot talk yet with them overnight because they are stuck in their ways when it comes to basic needs of a baby. He his hardheaded and I want to control his mind. I have a lm white skull candle already what would I put on this skull? Oils? Statements on parchment? Personal concerns? You can use the Compelling or the Commanding. Your petitions and statement to the candle might be: "Baby stays in your home". Ye, you can add personal concerns of his to the candle to make a stronger connection to him. But, make sure that you talk to the lit candle frequently. Some people will baptize their candle and talk to it for days and days before even dressing and lighting the candle. They seem to be pretty successful with this work. You can pray the Song of Solomon. Their lips burn when they telling a lie? I will be starting a white skull candle soon in attempt to get my target talking to me again. We didn't stop talking because of an argument, break up, etc. There are no ill feelings between us. We've never been in a relationship so there's no reconciliation involved. The situation is basically we were friends and really "into" each other. We used to text each other alot but after we almost got intimate, he just stopped talking to me...presumably because he started seeing another woman at the time. So, along with lots of other drawing work for love and lust (and break up work), I have started burning brown candles dressed with influence oil, mercury oil, deer's tongue and black candle tobacco every Wednesday. With the brown candle, I use a name paper...his name 9x crossed with my name 9x with the petition "text me" (because our primary communication is through texting). I include with the name paper photos of my target & myself that I anoint with Mercury oil at the 5 points then press them together face to face. Then I include his hair and my hair and sprinkle some of the deer's tongue inside and fold all of the papers & personal concerns towards me, rotating clockwise until I can no longer fold it. I place this packet under a saucer and burn the candle on top. For disposal I wrap all candle remains and the packet in aluminum foil and bury it in my front yard. I recently received a white skull candle with an LM order that I was going to use to restore communication, and wanted to know if I should dress it the same way I have been dressing my brown candles? Could/should I include come to me oil as well since I'm trying to draw contact from him? And should I do the petition and personal concerns the same way? Is it more effective if I load the papers/concerns into the candle itself? I don't really like putting papers into the candles because of how it makes them burn, but if it's more effective I will do this. I do fully intend to carve my target's name and petition into the skull itself though. Also, I wanted to start this skull on Wednesday since it's the day of communication. However, my calender tells me that Wednesday the 15 is the new moon. I really wanted to start and finish this skull under a waxing moon, but I also want to utilize the power of Wednesday. I know not all pay attention to the moon phases, but in this case what would you do? Go ahead and start on Wednesday or wait? 1) I plan to use a cigar to communicate while my man is asleep - do I have to smoke on it or just can I just lit it and let the smoke comes out? 2) incense wise - can it be any kind of incense? like chinese and indians I have on hand? You can use restless oil and confusion oil on the candle. You can write petitions and put it under the candle. You can dig holes and put (very small) petitions into the candles and then seal it up with melted wax. The new moon is perfectly fine! That's a waxing moon!! Yes I would dress it the same way as you did for the others (although I would have preferred to use yellow candles myself). I love putting thins inside and outside the candles. I make very small petition papers (VERY small) for the ones that I stuff into the candle and larger ones for outside. Wishing you the very best. I love skull candle spells and I pray that you get the same success as I get from them. They are my favorite way of getting to a target's head. I hope you have the same enjoyment success. I personally like to smoke the candle and the area around it. No, you would not use just any incense. You would use either an all purpose incense or an incense consistent with your spell them. My best friend and soul brother and I have had an amazing friendship for 2 1/2 years. 3 months ago he starting hanging out with a girl who is now his girlfriend. I love my friend and can see this is a disaster about to happen. He really chooses some of the most unstable women around. Although unlike with the last one, he has completely distanced himself from me and we have gone from talking all day every day, to a meager 5 minutes if I am lucky. From his own words and from advice given by his friends who know her, she is described as crazy, selfish, unreliable, a party girl, an alcoholic, sexually promiscuous and a drug user. She is a musician as is he and since being in her company he has not only neglected our bond, but other friends, family, church, work, health, fitness, charity work and God. I would like him to open his eyes and follow his first gut instinct when he told me that he must leave this scene and that she is bad news. I am wondering, if I worked a white skull candle with some clarity and cast off evil oil, if that would help him see the truth about her and her negative impact on his life and thereby cast her away? Also would a baptise it as him if using this oil or would this cast him away from me? Thank you for any input you may provide. I don't think using Cast off Evil would push him away from you, because you're going to be literally speaking to the candle as it burns, and you'll be telling him exactly who he needs to get away from. I think a moving candle spell would also be a good choice for you. That may even cause her to leave on her own accord. She will be an easy target given her erratic behavior and drug usage. You have the right idea! Like misskitty49 said, you are not evil so the Cast Off Evil is not going to cast you away. It will try to help spiritually break any holds from addictions or things that may be trying to take hold of him. Those to oils I think will make a nice combination. I woudl baptize teh candle with Holy Water and then work the oils on it. Thank you misskitty49 and natstein, I really appreciate your assurance and advice. I have been intently listening to the radio show (some wonderful ideas) and reading through the pertinent forums again and am confident in my work plan, but it is always good to double check. I will indeed be doing a moving candle spell, but since he is going to be alone on a 3 week venture with little contact to the world outside, I thought I would start working on his mind and remind him of what he until very recently saw her as and essentially what she is.....a whole lot of trouble.